. 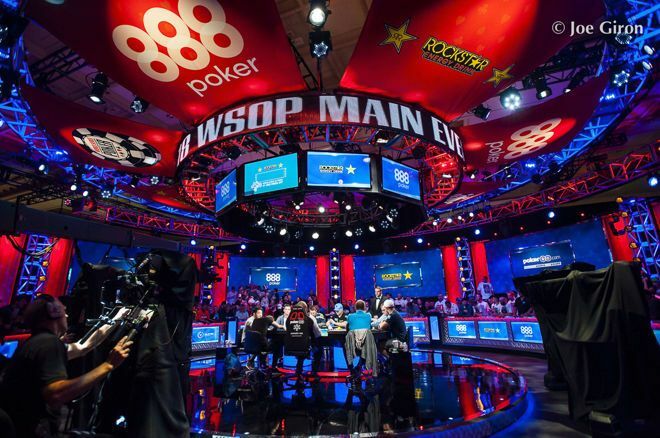 @JonathanLittle to review 41 hands from the 2018 WSOP Main Event final table in webinar tonight. Two-time World Poker Tour champion Jonathan Little recently shared his thoughts on the now famous “AA vs. KK vs. KK” hand from the stone bubble of the 2018 World Series of Poker Main Event final table. 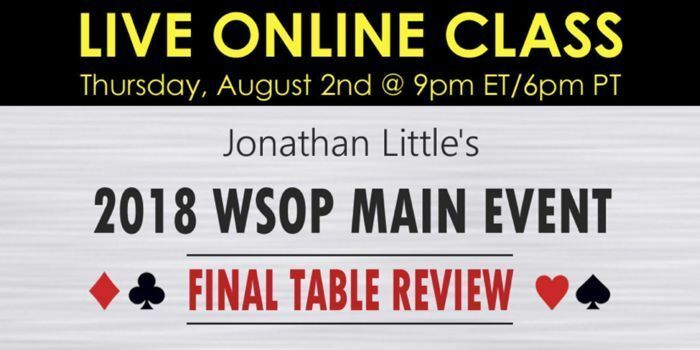 Tonight — Thursday, August 2 at 9 p.m. ET/6 p.m. PT — Jonathan is going to review 41 hands from this year’s World Series of Poker Main Event final table in a live online class. Attendees will be able to ask questions during the live class. Everyone who signs up will get the full recording within 2-3 days.